Getting Panic While Updating Latest Drivers? admin June 29, 2018 June 29, 2018 No Comments on Getting Panic While Updating Latest Drivers? If you’ve been told that a new driver’s update is available for your device, you may be wondering: why bother? After all, your device is working just fine. And besides, who needs the hassle of downloading and installing a driver’s update? While it may be true that your device is working fine today, applying an update could prevent future problems from occurring or solve security vulnerability. In fact, it’s smart to update all of your computer devices, software, security programs, and operating system regularly. In the case of hardware devices, they need an update. These updates are issued periodically by the manufacturer as bugs are discovered and fixed. If you don’t apply the drivers upgrade, your device does not get the benefit of these repairs. While the bug may not have affected your computer yet, it could be a computer error ready to happen. For example, if the manufacturer discovers a conflict between a devices and a popular new PC game and fixes it through an update, if you haven’t updated your device, you’ll run into problems when you install the new game. On the other hand, had you applied the repair, you’d be able to use the PC game without ever running into the known problem. In addition to solving bugs, a drivers update may also add new features or compatibility with other technologies. By periodically updating your hardware, your computer will be equipped with the latest enhancements offered by each hardware manufacturer. Because your computer is made up of potentially dozens of devices including chipsets, memory, CD-ROM drives, video cards, sound cards, printers, microphones, input devices, and so on, keeping track of each device, finding the right device update, and manually updating the drivers can be a tedious job. Plus, once you complete the job, you’ll soon find yourself with out-of-date drivers as manufacturers continuously release new updates. Two of the best ways to minimize the monotony of manual updates are: use Windows Update and use device driver management software. Windows Update is effective at keeping many of your system devices patched with the latest updates, but not all. Many device updates are shared by manufacturers with Microsoft as part of “plug and play” initiatives. Plug and Play devices work with Microsoft Windows because the Microsoft operating system is equipped with the appropriate drivers and any new drivers update. To take full advantage of these updates, make sure to enable automatic updates in Windows. 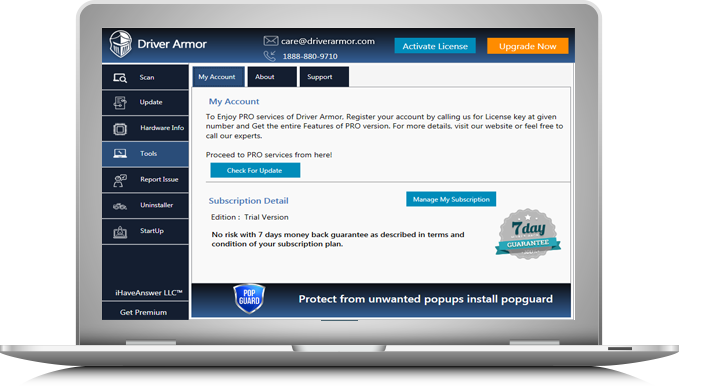 In addition, driver management software utilities exist that fully automate the process. First, these tools scan your computer, creating an inventory of all installed devices and noting their existing driver versions. Once identified, the software searches a database for updated device drivers for these specific devices and downloads and installs any new software that matches. You can set up these programs to run according to a regular schedule. Once set up, you can rest assured that if a new drivers update is released for your system, the software will find and install it. Try this software at free to autopilot your PC Drivers. BLOG Fix Device Drivers Or Autopilot Your PC Drivers!, How To Update Your PC Drivers?, PC Drivers, What is a Device Driver?, Why would a Device Driver cause a Problem? Fix Device Drivers Or Autopilot Your PC Drivers!